SoHo will screen the same time as the US the behind-the-scenes Game of Thrones swansong, Game of Thrones: The Last Watch. It will premiere 1pm on May 27 and screen again that night at 8.30. The documentary will air a week after the series finale and will stream the same day on Neon. “Although not part of the series proper, Game of Thrones: The Last Watch nevertheless adds an additional two hours to fans’ final-season viewing plans,” The Hollywood Reporter says. 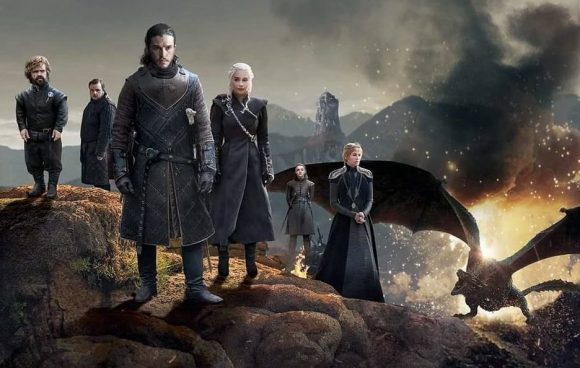 What’s more, it stands to pull the curtain back on some of the season’s greatest mysteries and filmmaking secrets, thanks to “unprecedented access” to the cast and crew who have brought the Seven Kingdoms to life for nearly a decade. Game of Thrones: The Last Watch delves deep into the mud and blood to reveal the tears and triumphs involved in the challenge of bringing the fantasy world of Westeros to life in the very real studios, fields and car-parks of Northern Ireland. Made with unprecedented access, Game of Thrones: The Last Watch is an up-close and personal report from the trenches of production, following the crew and the cast as they contend with extreme weather, punishing deadlines and an ever-excited fandom hungry for spoilers. Much more than a ‘making of’ documentary, this is a funny, heartbreaking story, told with wit and intimacy, about the bittersweet pleasures of what it means to create a world—and then have to say goodbye to it. The final season premieres April 15 at 1pm on SoHo and will stream the same day on Neon. Following the weekly 7.30 Wednesday encore, SoHo will screen the recap series, Thronecast. As the final season of Game of Thrones approaches, Sue Perkins gets ready to share the journey with us on Thronecast. In a special Gameshow of Thrones episode, celebrity fans and cast members will battle it out to see who is as wise as the Three-Eyed Raven and who knows about as much as Jon Snow! This is followed by a War Room episode, where Sue and her advisors will analyse the state of play in Westeros. From the premiere of Season 8, Thronecast will recap each episode with special guests, reacting to every epic moment, unexpected death and unforeseen twist.